Discussion in 'Reviews' started by Syphon, Oct 30, 2018. Did all the Press cars have bucket seats and the Brembo upgrades? It's difficult to know what to spec when the only reviews done seem to have been made in versions with all the options ticked! Also, if you had to pick a colour (that dreadful battleship grey aside) what would you pick? Personally I think only Rodium works with the copper highlighted wheels but the red does look nice in some pictures. I'm personally a massive fan of the Cupra Ateca! Keep on seeing it and for the sorts of hobbies I do, it would be the perfect car! Big enough to carry bikes etc and fun enough to have it as a bit of a toy! I think that the rodium is the only colour that I would spec,however I do like the red. I really like the bucket seats but it seems that they won’t be available in the uk.If you want to see what the standard sport seats look like,have a look at the recent Auto Express review. I live in Spain and they're an option here. Having looked at them both (via the steady stream of videos appearing) I think I prefer the standard seats, plus it sounds like they allow a bit more rear leg room. Thanks for that update-keep us posted on how you get on please! Test drive and ordered our Cupra Ateca last week. Without bucket seats, as they are very limited in the way you can adjust them. Example, no adjustable lumbar support. Standard seats felt exactly like the seats in our current Leon ST FR. We did spec leather interior though, not convinced by the standard seats in alcantara/fake leather combi. As for colour: red. Since - at least here in Belgium - it seems everyone already drives a black or grey car. 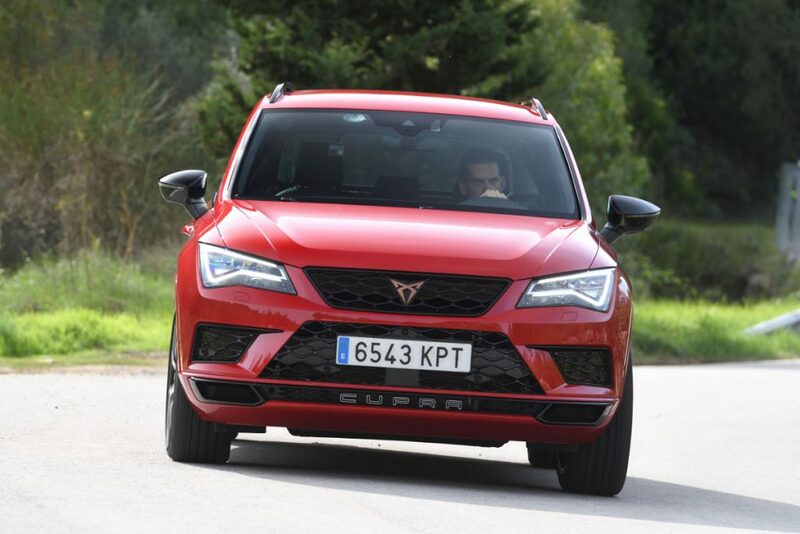 We did a test ride with a red Cupra Ateca, and really liked the colour. Saw the rodium grey in reality, and we did not like it. It seems all press/internet pictures, especially the ones from Cupra itself, are heavily edited. Instagram effect, anyone?